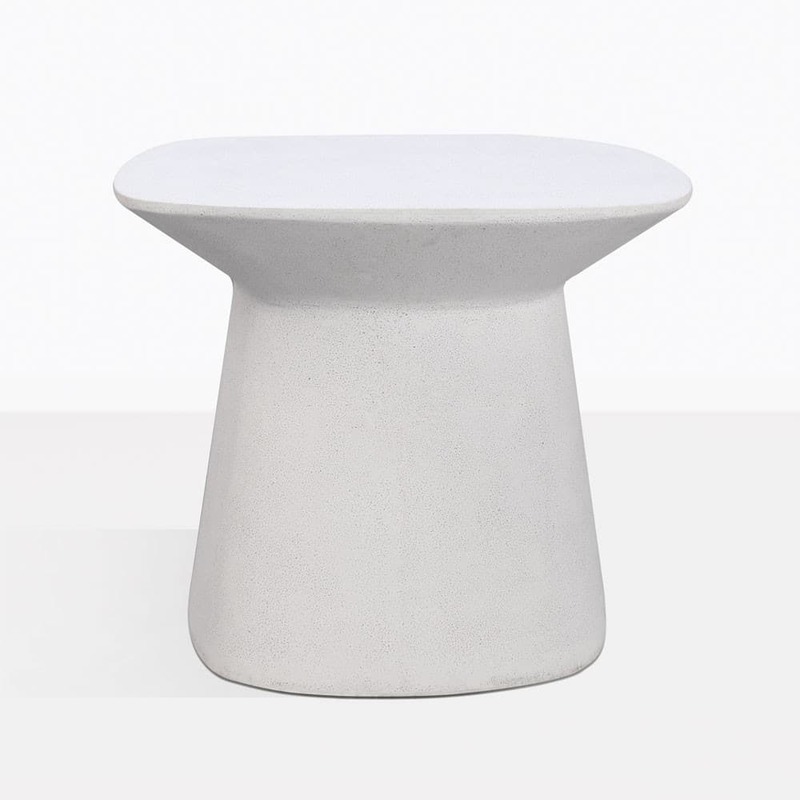 Invite contemporary glamour into your outdoor living space with the stylish, simple and striking Bunni Concrete Side Table in soft white. A decided design, with an urban surety about it, the Bunni Outdoor Concrete Side is a table that will polish off your look by adding an assured dimension of style. It is made with a blend of fiber stone. This makes it lighter weight than concrete, but it still has a nice weight and is sturdy. The design of our Bunni Side Table centres around the dashing solidity of concrete composite in fabulous white, that, whilst being heavy duty is stylish, and composed. The contemporary style comes from a shape that’s chic, and material that is on trend being Fiber Stone. Our versatile Bunni Side has a flared table top which tapers down into a wonderfully modern pillar of strength, which is perfect to hold up those delicious wines, snacks and table decorations! Situate this striking, urban Bunni Outdoor Side Table in white concrete on either side of your teak deep seating for a monumental contrast you will adore! Furnish your seating with additional white throw cushions to really tie the look together. If you’ve a business that has a space for relaxation and rejuvenation, why not set up several lush club chairs, each with a white Bunni Concrete Side. It is the perfectly polished look you’ve been waiting for! 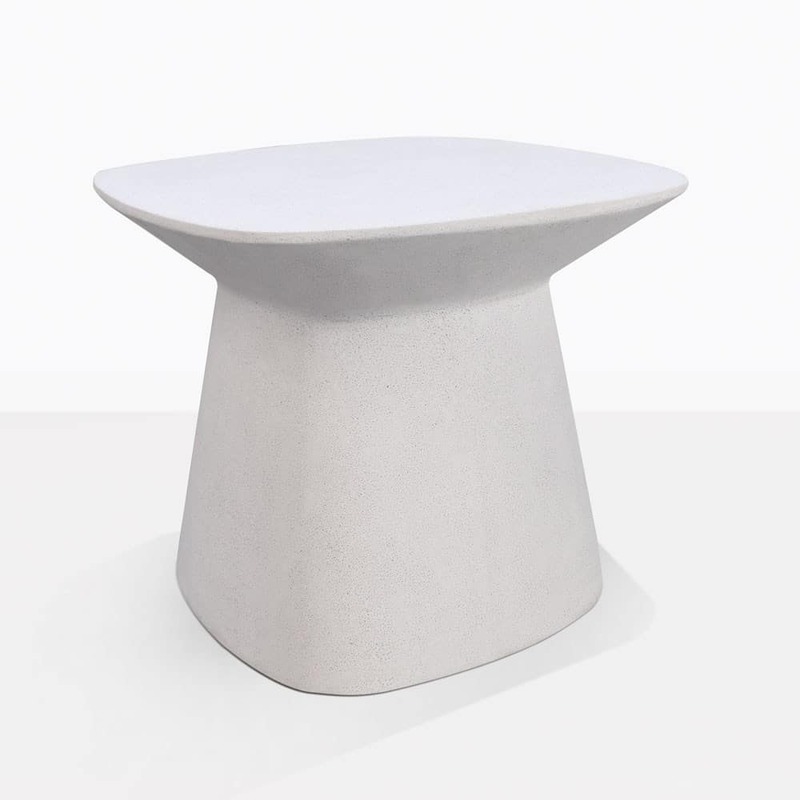 The Bunni Outdoor Concrete Side Table is constructed using incredible materials, durable for outdoor use. 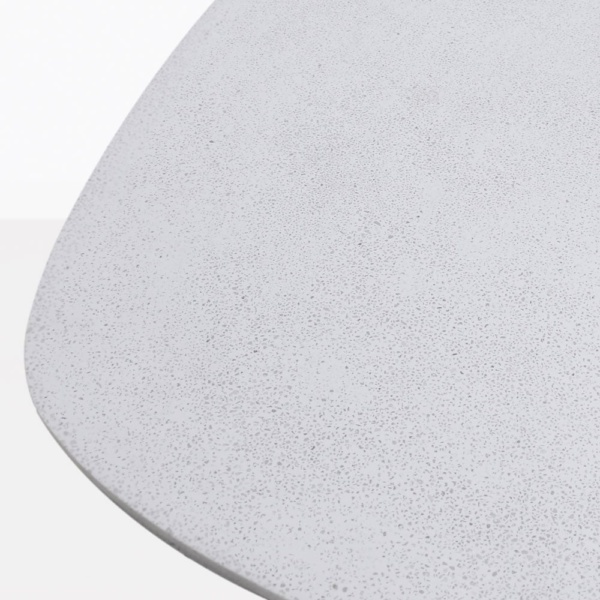 Be inspired by the perfectly formed Bunni Side made from robust concrete composite with fibre glass and resin – a stylish and chic look you will adore! Design Warehouse carries a huge array of furniture, tools and accessories to make outdoor living a delight, as well as easy and luxurious. From our superb range of side tables, to larger dining varieties, seating and more… you’ll be inspired by the quality and the choice! Call Design Warehouse today and order your Bunni Side Table! Get ready to be close to perfection!